If you want an out-of-print book, there are many wonderful used bookstores and thrift shops. But if you are looking for specific topics, online is often better. 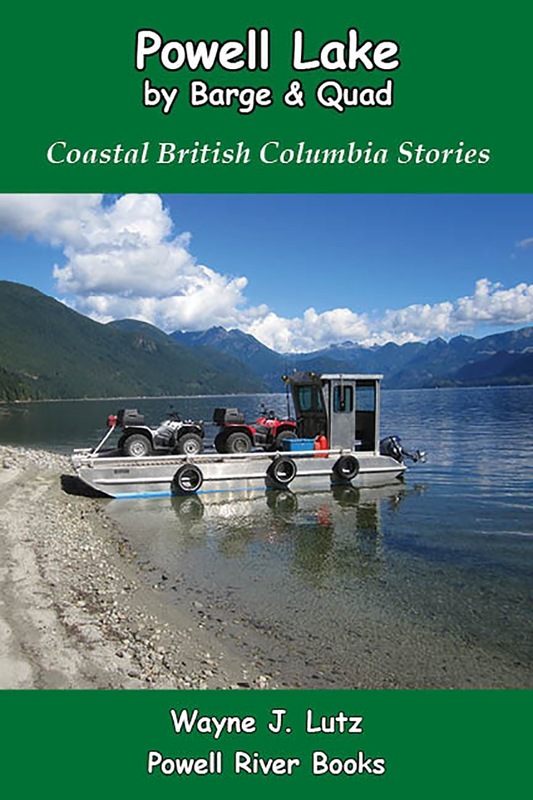 I recently searched Amazon.com for books about British Columbia. I found a nice selection for not much more the shipping charge of $3.99 USD. It’s strange, hardbound books are usually the cheapest at $.01. Given the choice, I purchase from GoodwillBooks.com. It’s reputable and profits go to a good cause. 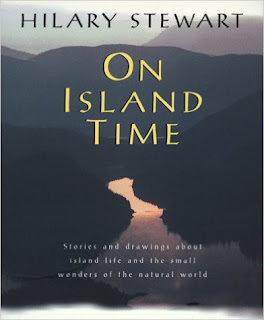 On Island Time: Stories and drawings about island life and the small wonders of the natural world (Douglas and McIntyre, 1998) by Hilary Stewart was a recent arrival. This one cost $3.99 plus shipping, but it was a signed copy. Cool! On Island Time is the memoir of renowned author Hilary Stewart covering the years leading up to and including her life on Quadra Island. Quadra is one of the Discovery Islands just off the coast of massive Vancouver Island. It’s easily reached (or relatively so if you know ferries) from nearby Campbell River. 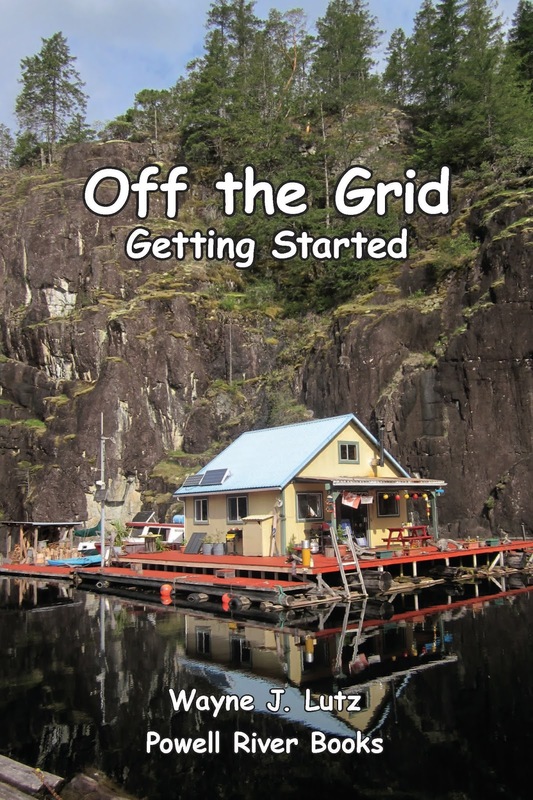 Quadra Island, and many other coastal communities, attract authors, artists, and individuals wanting to get away from big city life. Hilary discovered Quadra while passing through with a friend on the way to his property on Cortes Island (an additional ferry away). 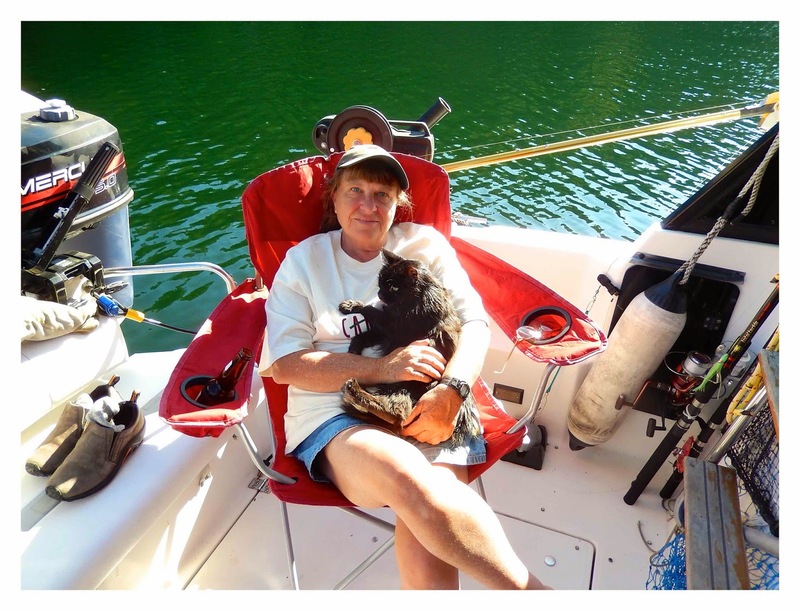 Heading home one day she discovered a property for sale near the Quathiaski Cove ferry dock. Her decision was a spur of the moment event, much like our float cabin purchase. Another similarity is that Hilary had to wait for retirement to move into her dream home. She built a cozy cottage, but had to rent it out for eight years. We kept our cabin private, but had to wait five years before we could retire, and three more before we got our permanent residency to live there full time. Hilary is a detailed observer of nature around her island home. She provides detailed descriptions and lovely illustrations to go along with her chapters. Her bird watching and plant logs were fun to review. And I’ll try her recipe for Salal berry jam. I have lots of those on the cliff next to our cabin. Another interesting aspect was her work with educational programs at the Strathcona Park Lodge near Campbell River. Wayne and I were just there this summer. We saw lots of young people having dinner and talking excitedly about their daytime activities. Are you thinking of getting away from the city to retire? Are you younger, but want a change of pace for yourself and your family? Reading about others' experiences helps you discover the advantages and pitfalls. But like Hilary’s and our experience, sometimes the decision comes to you in the most unexpected way. You just have to know when to make it happen. Looks like a great book - I just ordered one from Amazon. 4.00 and free shipping. They had it in kindle but I wanted to see the drawings - and besides, it was 10.00. Thanks for posting about this book - I always look forward to the books you recommend. I"ve been neglecting to join in the book link parties this summer, so much going on. I have been reading, perhaps not as much. This sounds like an interesting book about BC. I'll check out the Goodwill site you mentioned.